Explore mathematics on the Light Cube using simple items you can find at your local department store or dollar store! 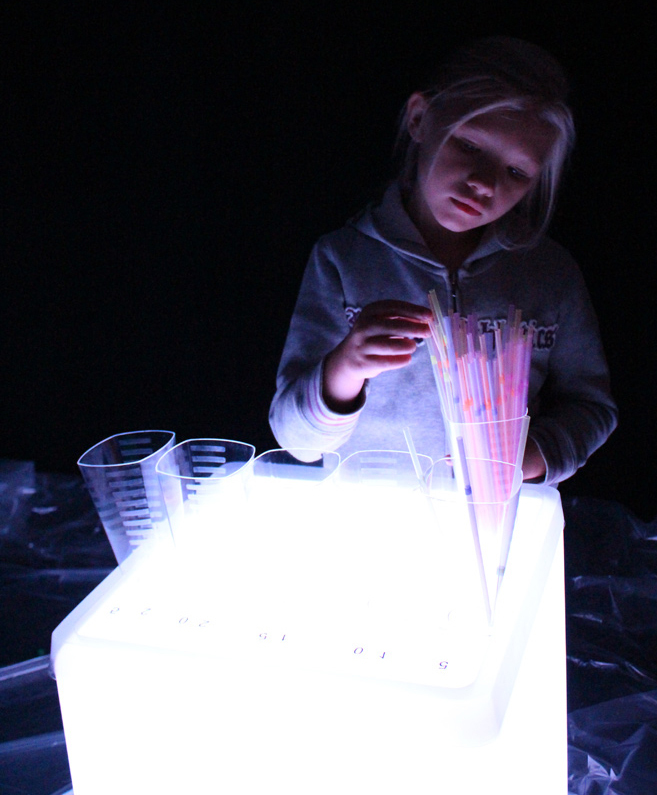 The Light Cube will focus students’ attention as they manipulate the materials to build skills in early numeracy! In this edition of Light Cube lessons, we’ve decided to focus on counting and sorting. To do this, you will need a package of clear colorful straws, some transparent numbered stickers and 10 clear plastic drinking cups. First, we tacked down our stickers to the Light Cube. The stickers we found are numbered 1-10 so you can explore counting in different quantities, or for advanced learning, develop skills in skip-counting. We’ve decided to skip-count by the number 2. This is a great starting point for discussing the differences between odd and even numbers. You can additionally create your own stickers by using clear scotch tape and writing numbers on the tape with permanent marker. Paste down the tape onto the Light Cube. Tip: If you own a Light Cube tray, you can use write the numbers directly onto the tray with dry-erase markers. 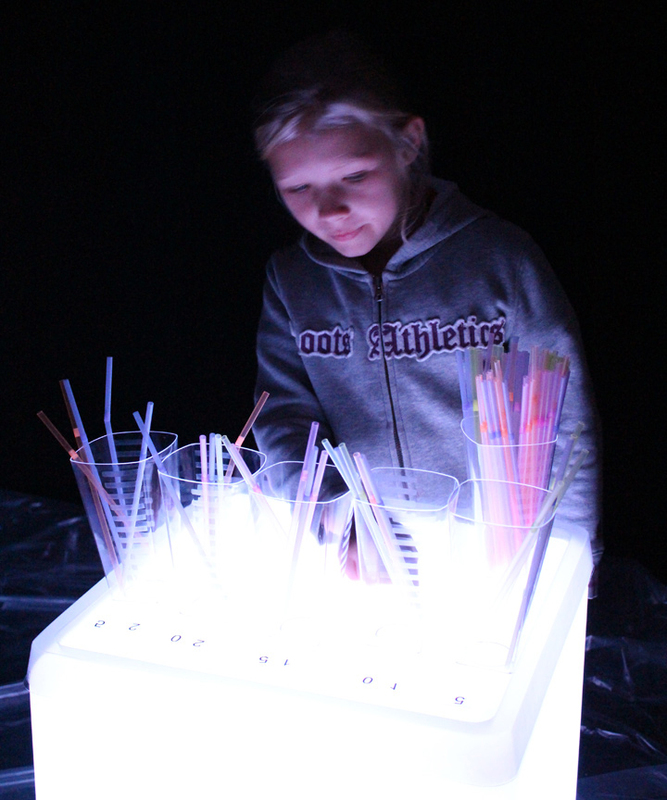 Ask your students to pick out the same number of straws as the numbers indicated on the Light Cube. 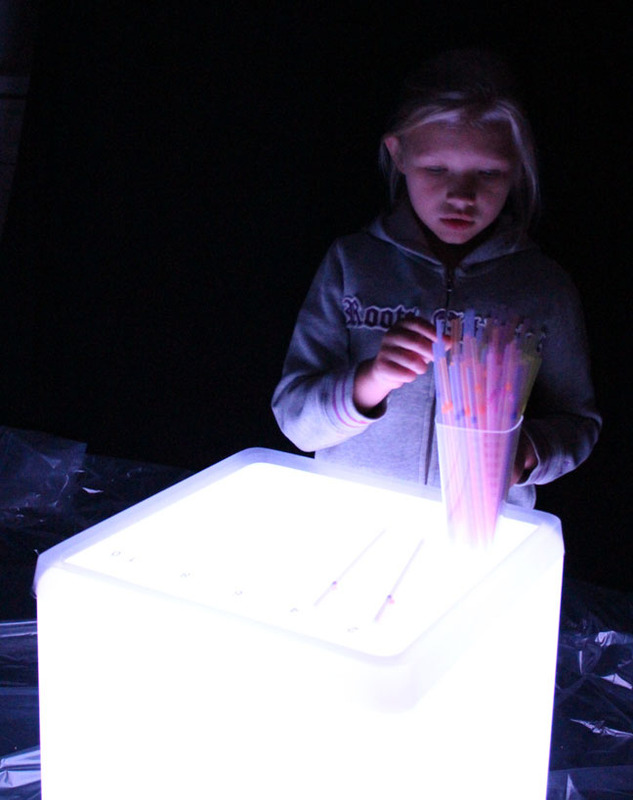 Place the straws you’ve picked out directly onto the Light Cube underneath each number. Once we had explored the basics of skip-counting, we moved onto bigger numbers. You can mix the digits to make these larger numbers. To contain the larger number of straws, use the clear cups. To reinforce your students’ counting skills, mix up a random amount of straws into each cup and ask the student to correct to the proper amount. They must either add or subtract the straws. To take students’ learning one step further, ask them to imagine that each straw has a certain value, such as 2. Therefore, each straw represents the number 2. If you have labeled a cup as the number 6, students will have to place 3 straws inside the cup to reach the right amount. 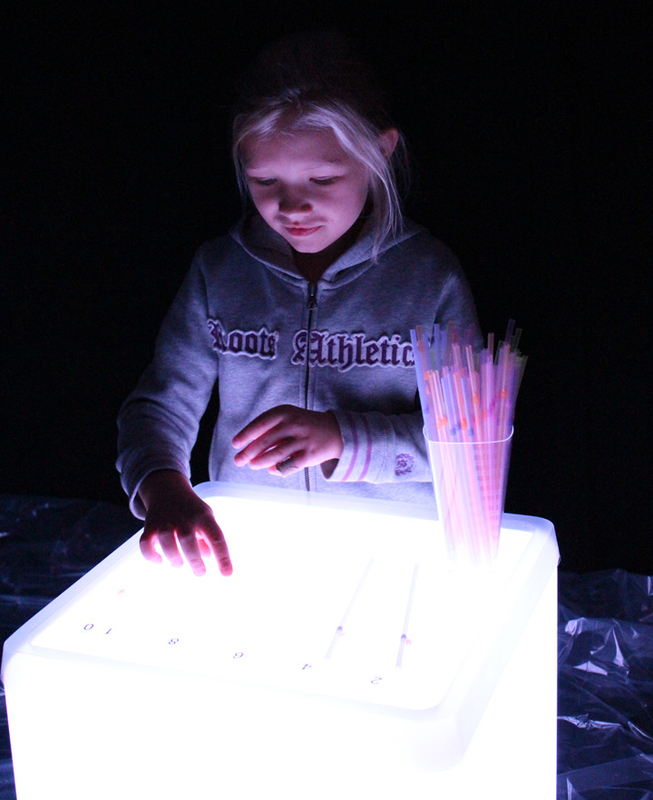 The glow of the Light Cube is a great base for exploring abstract mathematical concepts as students are focused on the materials they work with. This entry was posted in Math, Science and tagged counting, dollar store, kids math, light cube, light play, light table, math, mathematics for kids, numbers, numeracy, skip counting by roylcoblog. Bookmark the permalink. It is a challenging subject to teach, but one we can definitely improve upon as we learn to relate it to other subjects and aspects of play.